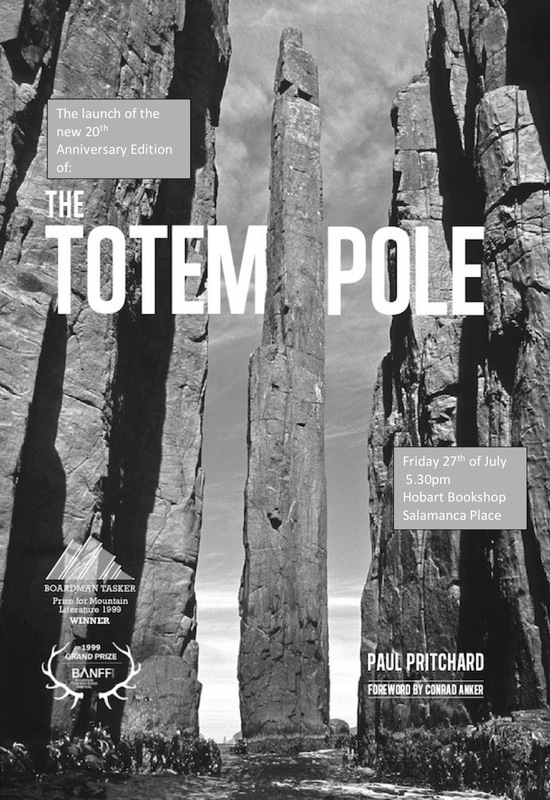 I have just received 3000 copies of the 20th Anniversary Edition of The Totem Pole and it looks really great. Simon Carter's cover shot in B/W is positively menacing and looks to stand out from the page. 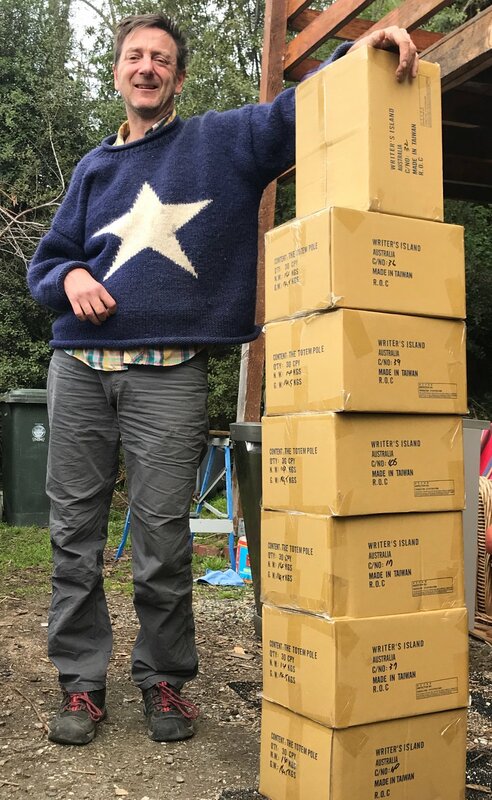 Next job is to sign and send 401 copies to you awesome Pozible backers. We had to store the 3000 books in my daughter's bedroom! while we build a purpose-made storeroom. My reptilian brain is still exploring options for an online shop - I want to spend my time writing and going on adventures, not stuffing books into envelopes but that maybe why children were invented! As the poster shows, for those in Tasmania I am inviting you all to come celebrate the launch of the New Edition at the Hobart Book Shop, Salamanca Place, at 5.30, 27th July. I am so looking forward to this! So, come along, hear me poorly read a segment, have a glass of wine and maybe buy a book. And please sign up to my newsletter on this site for news on how to get your copy of The Totem Pole. The Lowest To Highest Trailer is here!